Willard Hughes Rollings was a scholar of Native American history and of the Māori, the indigenous people of New Zealand. Rollings was born in Farmington in northwestern New Mexico, to the late Ira Rollings and Georgia Luella Rollings (1918–1987). He was reared and graduated from high school in Socorro in the Rio Grande Valley of west central New Mexico. He received his Bachelor of Arts degree in 1971 and his Master of Arts in 1975, both in history, from New Mexico State University in Las Cruces. 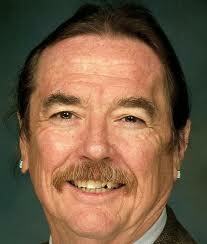 He procured his Ph.D. in 1983 from Texas Tech University in Lubbock. He was appointed to the history faculty of the University of Nevada at Las Vegas in 1989 and had been a full professor since 2005. Previously, he taught at Missouri State University in Springfield, Texas Tech, and at high schools in Socorro and New Laguna, New Mexico, and Valencia, Venezuela. Rollings, who was of Cherokee descent, penned four books and numerous essays on Indian history. His books are studies of the Osage Nation and Comanche tribes. He held a postdoctoral fellowship at the D’Arcy McNickle Center for the History of the American Indian at the Newberry Library in Chicago and a Fulbright Scholarship to New Zealand, where he studied the culture and history of the Māori and also spent time in Christchurch and Wellington. At UNLV, Rollings taught the history of the American West, Native American history, Nevada history, and specialty courses on Native Americans. He was involved in the establishment of UNLV’s first Ph.D. program in the history of the American West. Rollings died at Desert Springs Hospital in Paradise, a suburb of Las Vegas. He was preceded in death by his wife, Barbara Williams-Rollings, the former UNLV Special Projects Coordinator.